Remixed Voivod? I was -very- apprehensive about this release, and so I should be. Voivod was always about being one step ahead of the metal genre community, always a bit out there and exploring the realms of metal, but this was Voivod fused with electronic music. Remixed versions of some of their heavy and most memorable numbers are found here (“Nanoman” and “Forlorn”), not to mention previously unreleased numbers (“Vortex” and “Erosion”) and a slew of live version numbers (such as “Astronomy Domine” and “Nuclear War”). 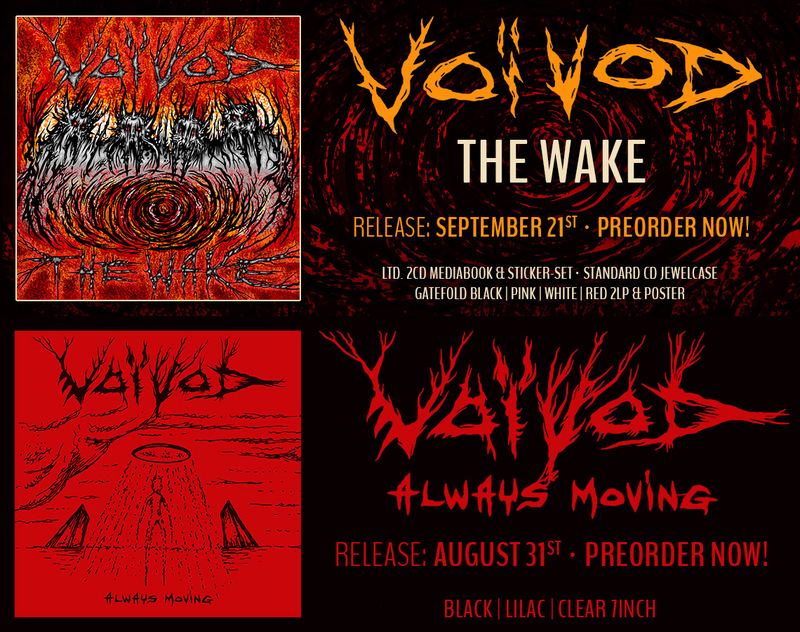 Voivod continues on in the trend of many metal acts who have decided to go along and remix their records/material (i.e., Fear Factory, Avulsed, Pantera, etc.) and done it reasonably well. The Fear Factory _Remanufacture_ LP sounded great and so do the three numbers Voivod worked on. As for the unreleased material here, it’s still heavily experimental and definitely Voivod sounding. Fans will not be disappointed. And the live material from Germany? Stunning. This band is both a strong studio and live act, thrilling fans for more than a decade and still going strong. If this LP had been more of a remix record rather than a remix / unreleased / live effort, I would have more concern with what they did. But enough said — this compilation of material from Voivod rules. It has enough variety to keep fans happy. Celtic Frost, Slayer and Voivod are the anchors of one corner of heavy metal, to me. Slayer hasn’t done anything since my last report, and Voivod’s plans were slowed by a bad tour-van accident, last August, from which singer Eric Forrest is lucky to be still recovering, but we’re relieved of the burden of waiting in silence by this collection of three remixes, four outtakes from recent album sessions, and four live recordings. Of the remixes, I like the crazed Foetus rending of the Phobos track “Forlorn” enough to hope that Thirlwell (who helped with one song on Negatron) gets involved again with the next Voivod record, but the techno jitters added to “Nanoman” and “Mercury” seem like wastes of energy to me. The four outtakes are all plausible enough on their own terms, and while neither Negatron nor Phobos particularly needed more material, then or now, the frantic, “Batman”-ish “Ion”, at least, was worth exhuming (although of course Voivod did the “Batman” theme, itself, on Dimension Hatröss). The live versions of the recent songs “Project X” and “Cosmic Conspiracy” are pretty close to the album versions, but the performance of “Astronomy Domine”, the Pink Floyd song first covered on Nothingface, is harrowing, and the spirited warp-speed rout of “Nuclear War”, from way back on 1984’s War and Pain, is thoroughly surreal, and makes me eager to hear the full live album that Michel and Denis are working on while Eric recuperates.